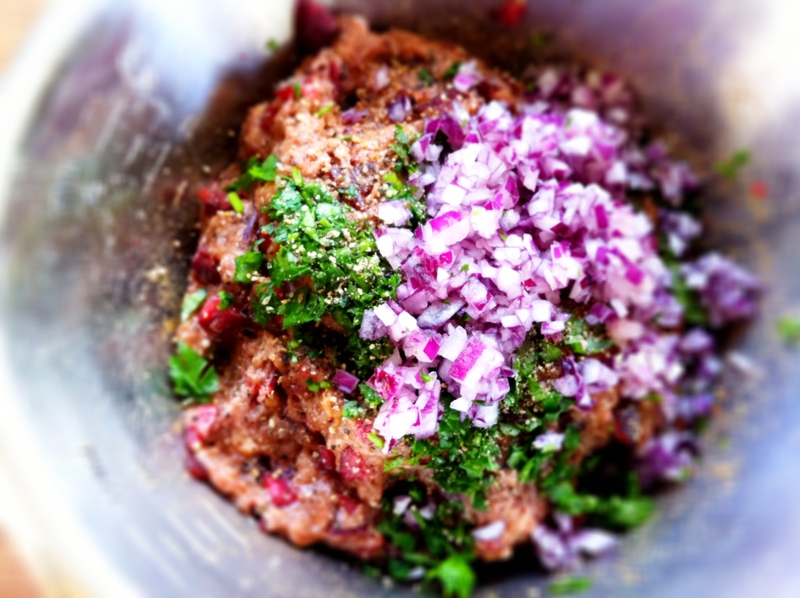 In a mixing bowl, combine all the ingredients but try not to mush them too much – you want to try and have some texture to the lamb mince itself. 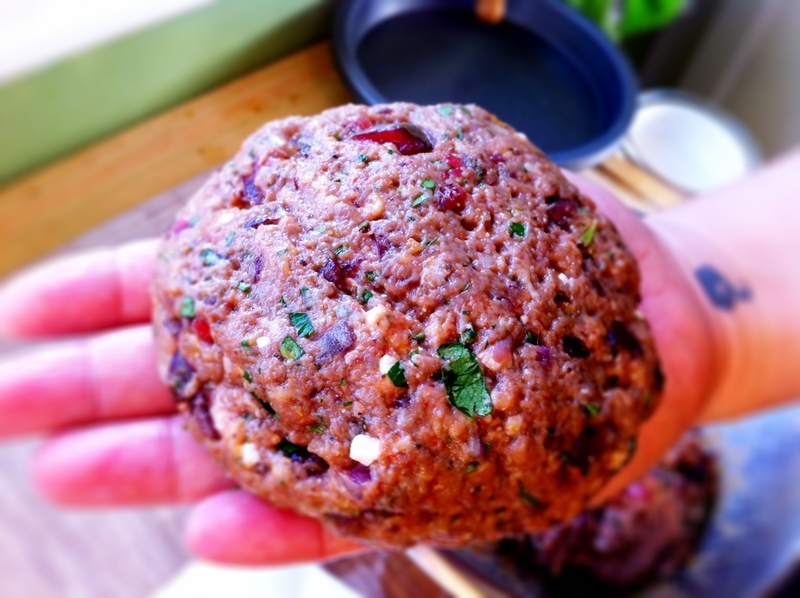 Chill the patties in the fridge or in a cool area for about half an hour. Dry fry them in a skillet or grill/barbecue for no more than 2 minutes on each side (it depends on how you like your lamb burgers cooked). 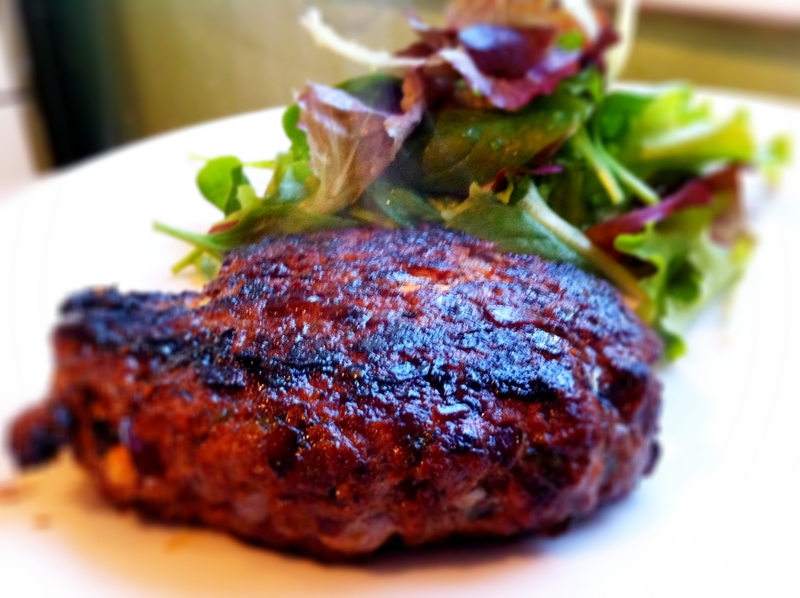 A lamb burger stuffed with plenty of herbs and spices too.